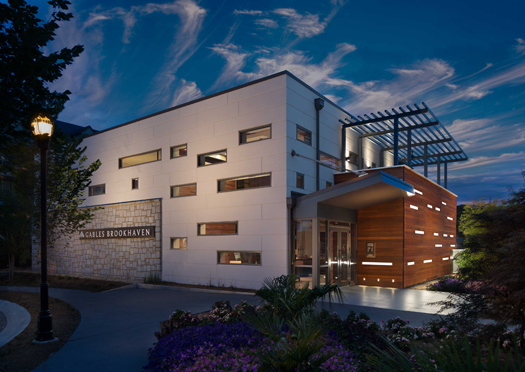 RJTR is responsible for master planning and architecture design services. 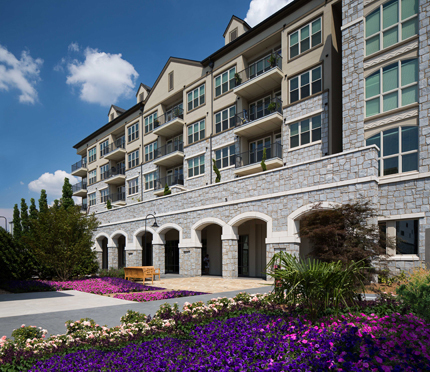 These wrap-style apartment buildings in the Brookhaven neighborhood of Atlanta, GA are two four-story buildings, totaling 342,000 SF, include 374 units with multiple floor plans from studios to 3-bedrooms. Being adjacent to Oglethorpe University offers the property many amenities that appeal to both student and non-student residents living in an urban environment. Along with the leasing office, the amenities area features a pool, fitness center, and gameroom for entertainment. The demonstration kitchen, dining area and garden offers a place for friends and families to socialize. At the main corner of Peachtree Road and Hermance Drive, a public green space is landscaped with benches and paved walkways for resident and public use. The property will also offer 6,000 sf of classrooms to serve Oglethorpe University. Each building wraps around a parking structure, totaling 230,000 gsf. (698 cars).